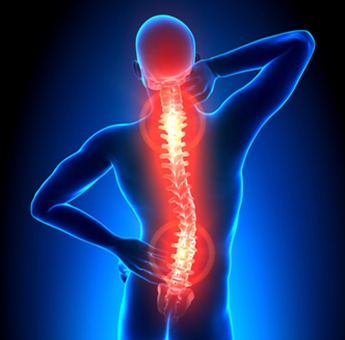 Lumbar decompression surgery is typically performed to relieve pressure on nerves of spine. What is Spinal Decompression Surgery? Severe cases of nerve compression in the low back (lumbar region) can cause paralysis and problems with bladder and/or bowel function. There are several surgical procedures that can be performed to remove the pressure (i.e., decompress) on a nerve or spinal cord. Surgeons often utilize more than one of these techniques. If the spine is unstable, spinal fusion may be required in addition to decompression. Discectomy: A portion of a disc that has herniated is removed to relieve pressure on the nearby nerves. Laminotomy/laminectomy: These procedures which increase the size of the spinal canal are very similar. A piece of bone (called the lamina) around the spinal canal is either partially or totally removed. Foraminotomy/foraminectomy: These procedures are very similar; they increase the amount of space around nerves as they branch off the spinal cord. A piece of bone and other tissues are removed to provide this space. Osteophyte removal: This procedure involves removing bony spurs (osteophytes). Corpectomy: This is a procedure to remove a large portion of a vertebra.